Kevin Jay Stoltzfus was born in Lancaster County, PA on April 23, 1958 to James and Mary Lois Stoltzfus. On December 3, 1977 Kevin married his high school sweetheart, Elaine Eckman. Together they have one son, James Kevin Stoltzfus. On August 2, 2002 Jim married his college sweetheart, Elizabeth Beck. Jim and Liz have two sons, Jack and Benjamin and one daughter, Lucy. Kevin graduated from Lancaster Mennonite High School in 1976 and MTA Truck Driving School in 1981. A second generation truck driver, Kevin has been driving tractor trailer delivering beautiful custom kitchens across the US for Quality Custom Cabinetry (QCCI) since December 1986. These kitchens were the inspiration for building a complete kitchen in a bottle. As a teenager, Kevin enjoyed constructing, painting and finishing many kit models. 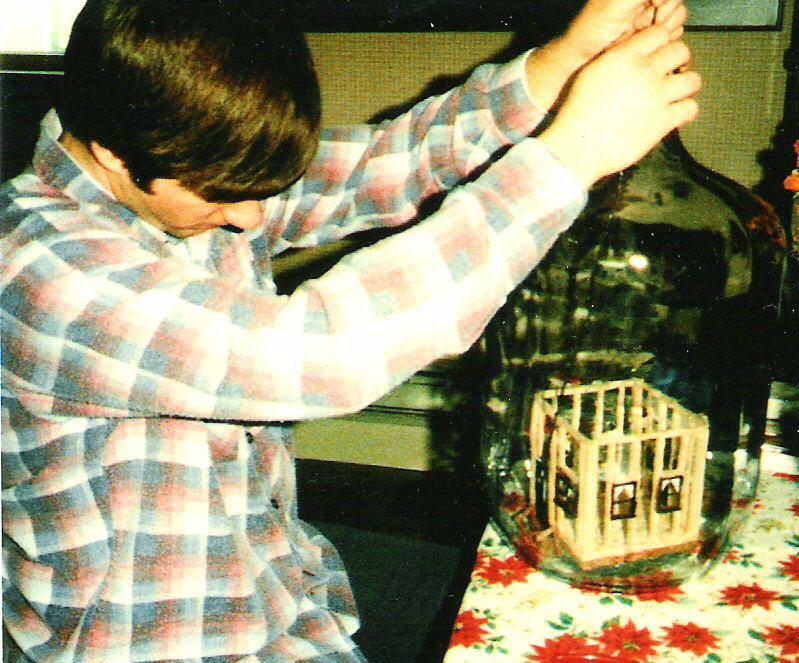 In 1980, Kevin started building his first bottle, "The Popsicle House." The house was built out of popsicle sticks in an orange juice bottle -- very primitive -- and the bottle was sold at a church charity auction. 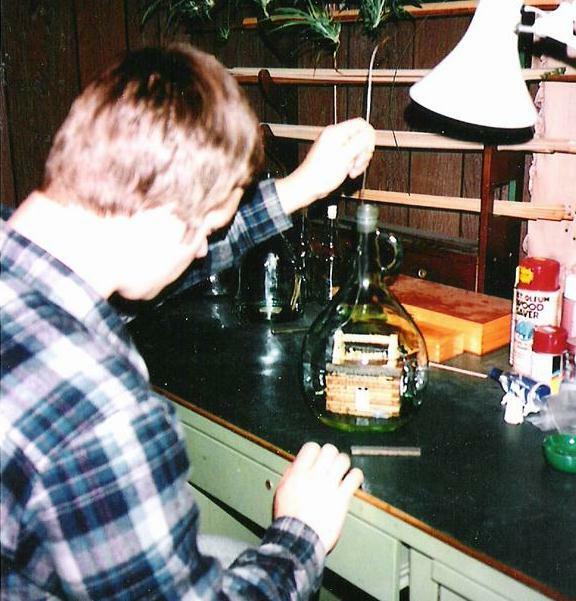 During the 1980s and early 1990s, Kevin continued to complete one bottle after another. Then in September 1994, Kevin's father "Dear Old Dad" was diagnosed with leukemia. On October 8, 1996 at age 61, James lost his battle with cancer. 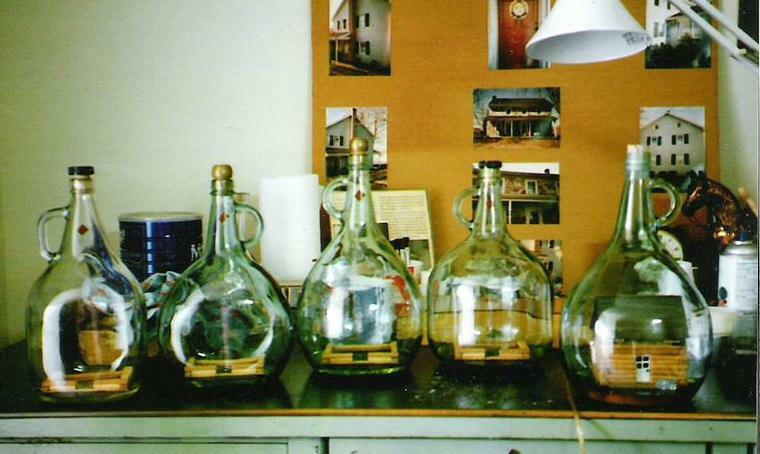 For many years afterward, Kevin was unable to work on his bottles. The creative part of Kevin died for awhile. 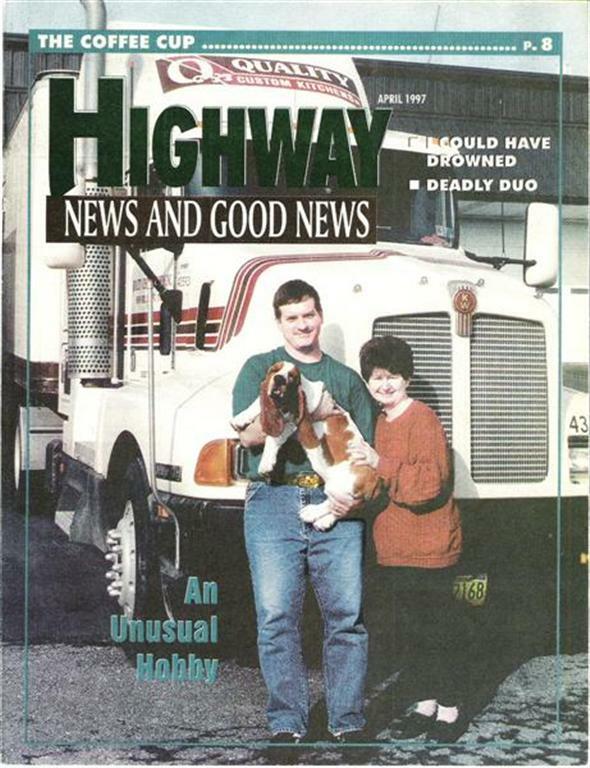 Then in September 2002, Kevin himself was diagnosed with Hurthle cell thyroid cancer. After fighting his own two year battle with cancer, today Kevin is currently cancer free. 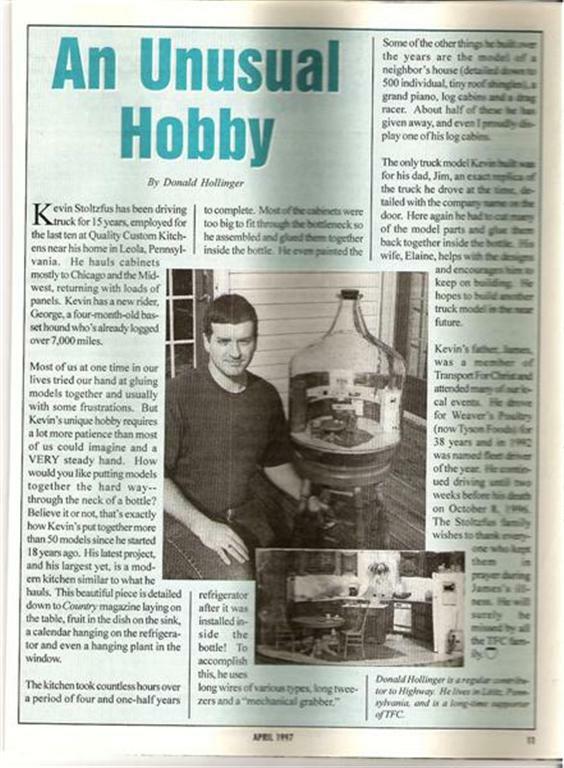 And after his battle with cancer, Kevin discovered that he needed to continue creating works of folk art in bottles. Kevin has battled depression for most of his life. Kevin has found that using his creative side helps keep him moving forward when the dark periods hit. Life is short and life is precious so live your dreams each and every day! As a teenager, Kevin's other hobbies included many strenuous activities such as swimming, roller skating and motorcycle drag racing. But since developing osteoarthritis like many others in his family, Kevin's hobbies as an adult are a bit calmer. They include boating, hunting and puttering in his barn. Kevin is also a Nascar fan. So far the osteoarthritis has had little effect on Kevin's bottle art, but we are concerned for the future since Kevin has many more bottle ideas in his head. 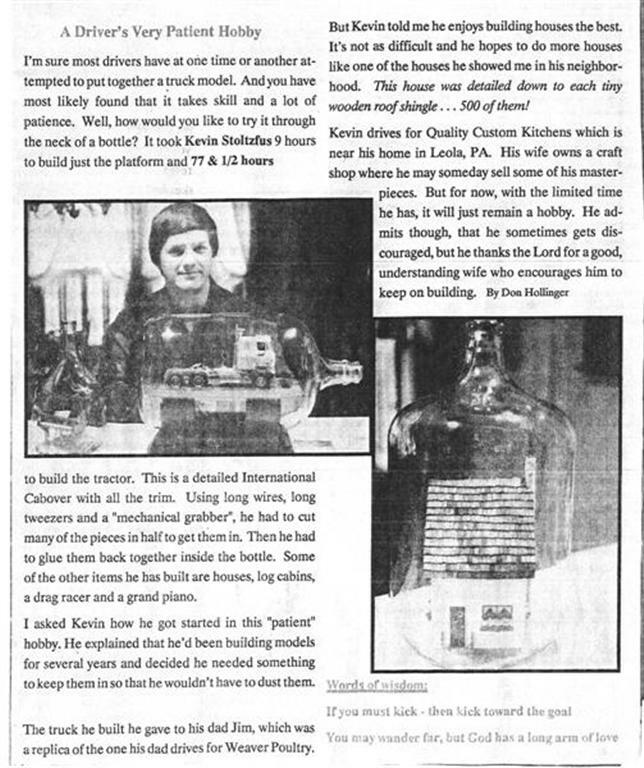 Kevin has built 10 or so log cabins in a 3 liter wine bottle. Kevin enjoys building these bottles and has had several sold at charity auctions. Others have been given to family and friends as gifts. The log cabins remind Kevin of wonderful times he and Elaine have spent in their 1902 log cabin home in Huntingdon County, PA.
Kevin currently has two bottles in progress. One is a large bottle that is a replica of the inside of a church. Kevin is building the individual pews from bass wood. And the second is a kit model of Dale Earnhardt's #3 race car. Kevin and Elaine are big Nascar fans.